PRINCETON, FL. 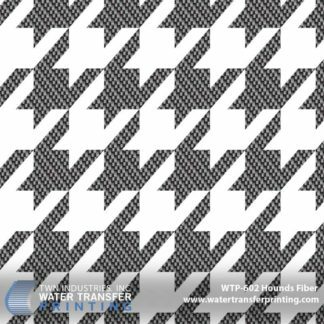 – April 25, 2012 – TWN is taking Houndstooth to the next level by printing a variation of Houndstooth with carbon fiber detailing. The new pattern, called Hounds Fiber, was conceptualized by TWN owner and founder Jerry Metallo and designed in-house. Houndstooth was first made famous by James bond and later gained popularity when Alabama Coach Paul “Bear” Bryant started a tradition by wearing Houndstooth hats to games. Still a fashion trend today, celebrity fashion icon Gwen Stefani is often seen wearing Houndstooth and incorporates the pattern into her brand. 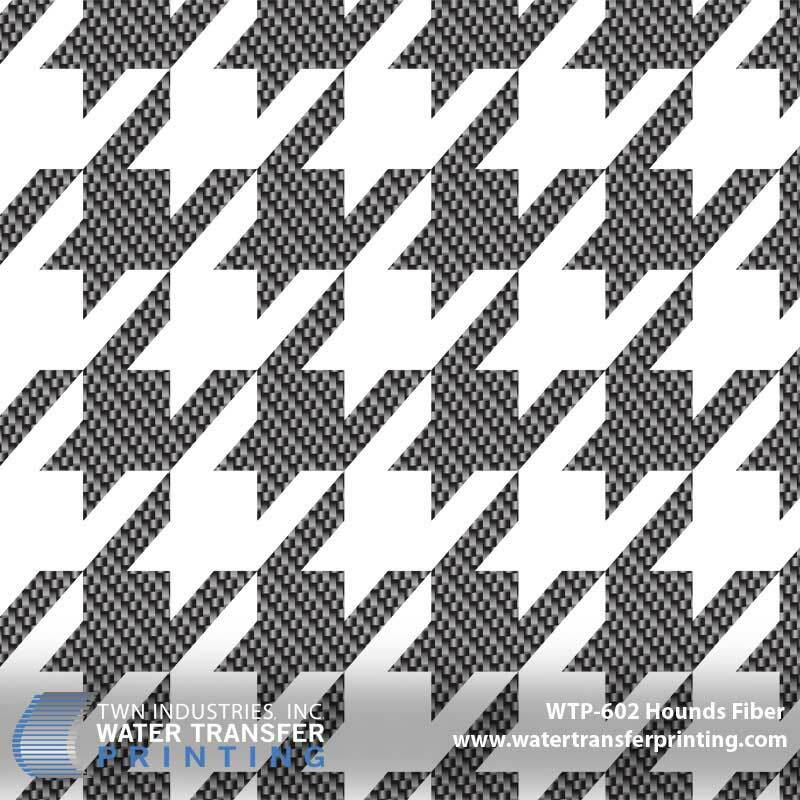 TWN reinvented the classic duo-toned pattern for water transfer printing film. The dark checks have a carbon fiber look and the traditionally white checks are clear so the film can be applied over any color base coat. This stylish pattern is a great look for a wide range of parts from automotive interior pieces to women’s products. Part number for Hounds Fiber is WTP-602. Small quantity Accessory Packs available immediately. Call 305-258-9622 to order film and supplies!